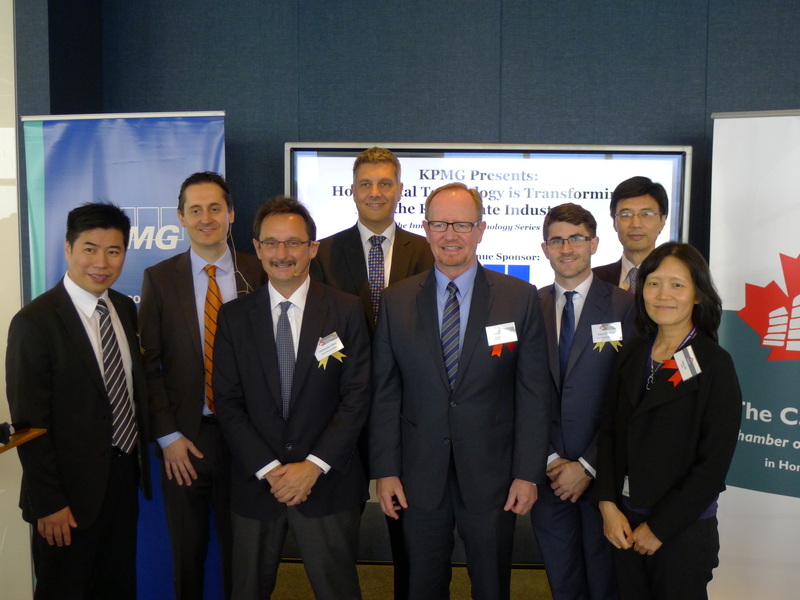 April 28, 2016—On Monday, I moderated an event about real estate and technology that was organized by the Canadian Chamber of Commerce in Hong Kong and sponsored by KPMG. Several interesting things came out of the presentations and discussions, which featured representatives from a management consulting company and technology company and two businesses selling overseas property. While imagery from drones has been successfully used to sell property, virtual reality is not yet ready for prime time. The internet has made it easier for buyers to shop for and compare properties. But agents are using increasingly sophisticated web-tracking tools to determine whether or not you will buy. If you are selling real estate to Mainland buyers, you must be mobile friendly. As the cost of sensors and data storage continues to drop and the internet-of-things develops, hospitals, airports and other public facilities will gather much more information about customers. Organizations are using this data to adjust the lighting and heating, ventilation and air conditioning (HVAC) to meet actual needs; boosting sales with special offers during off-peak periods; and increasing rents to accurately reflect the measured foot traffic. Some organizations, like shopping malls, are selling traffic data to tenants and turning a cost into a profit center. Consumers in Asia are more pragmatic about sharing personal information about their tastes and preferences than those in places like Europe. That paves the way for location-aware technologies like Bluetooth-based iBeacon to make personalized offers. Data security and data management are going to be increasingly important. Companies will need to protect data about their customers, comply with local privacy and data retention laws and protect their operations from internet-based criminals. One presenter said that 95% of agents in a U.S. survey said Facebook was an essential part of their marketing efforts. The are many more opportunities for technology to disrupt the real estate industry.